Special Instructions: The meeting will be in the "Customer Service" building. You do not need to pass the security shack. Parking is in behind the building and to the right of the security shack. Enter the building through the door with the canopy labeled "Education/Training". Review the creation of SQL procedures and functions. This includes developing procedures and functions with SQL as well as writing them in RPGLE and then registering them with the DB2 Database. 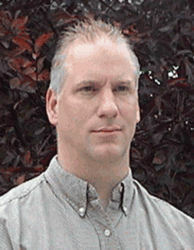 Kevin Forsythe has worked on IBM midrange systems for more than twenty years. With many years of experience in programming, analysis, consulting, and instruction, he is uniquely skilled at making difficult material more easily understood. As the lead instructor for DMC Consulting's AS/Credentials training classes, Kevin is responsible developing up to date courseware as well as providing instruction on a wide range of topics. This comprehensive background includes practical application, education, and research and provides a perspective that allows him to help others steer their way through the technical maze that surrounds them. Kevin speaks regularly at conferences and user group meetings, volunteers as a Subject Matter Expert for COMMON, has written numerous articles on a variety of iSeries topics, and authored the best-selling book "SQL for eServer i5 and iSeries", and co-authored "IBM iSeries/i5 Primer, Fourth Edition", along with Ted Holt, Doug Pence, and Ron Hawkins. Continuous growth and learning blended with helping others is the cornerstone of Kevin's life and it extends beyond his professional life and into his private life as well. In his free time, Kevin practices martial arts, and teaches at his own dojo as an instructor for the Goju Ryu Karatedo Kyokai. The martial arts principals of honest self evaluation and striving for continuous improvement have become a way of life and help him to better himself in all aspects of his life.